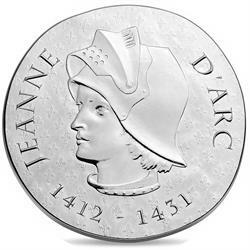 Home > eurozone > france > silver coins > 2016 France €10 Silver Proof Coin "Women of France: Joan of Arc"
This is the third issue in the series “Women of France” and is dedicated to Joan of Arc (1412-1431). Joan of Arc is considered a heroine of France for her role in the momentous victory over the English and their French allies. She was later captured and burned at the stake for witchcraft and heresy in 1431, at the young age of 19. In 1920 she was canonized as a Roman Catholic saint. The Maid of Orléans, as she is known, has long been considered one of history’s greatest saints, and an enduring symbol of French unity and nationalism. The obverse features a profile image of Joan, with various fleurs de lis composing a pattern in the background. 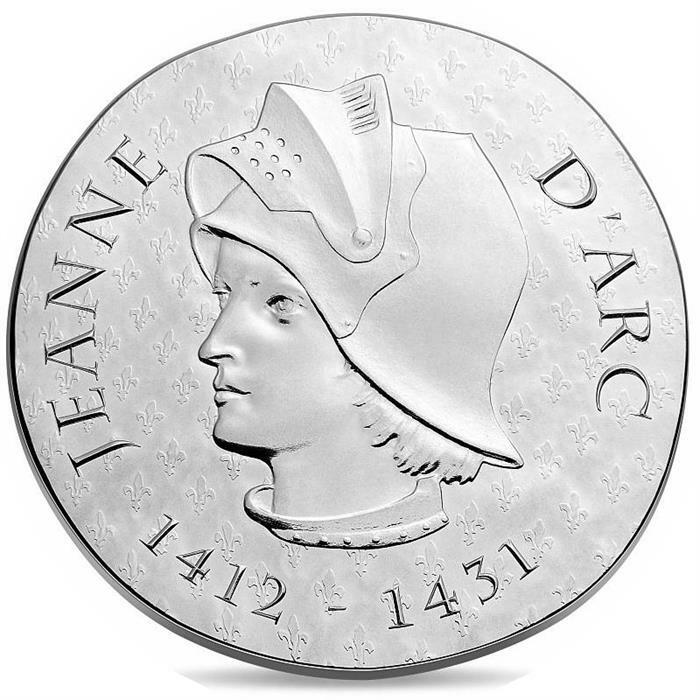 Inscribed along the rim of the coin are JEANNE D’ARC and the dates of her birth and death, 1412-1431. The reverse features a depiction of Joan armed for battle on a horse and carrying a standard. 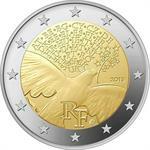 The inscriptions on this side of the coin read ORLEANS 1428 (the site of her greatest victory), 2016, RF (for Republique Francaise), and the monetary denomination.